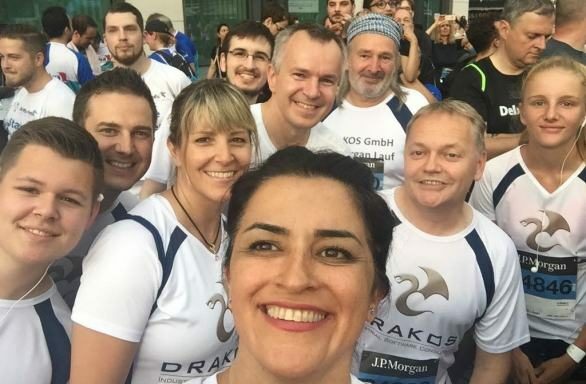 On 7 June, nine employees from Drakos GmbH took part in the world’s largest corporate run, the J.P. Morgan Corporate Challenge, in Frankfurt on Main. The event is part of a series of runs spanning five continents, seven countries and 13 cities. Every local variant shares a focus on fairness, team spirit, communal fitness and supporting a good cause — with more than 255,000 euros raised in Frankfurt to be applied to sports projects for young people with disabilities.